Capital Processing Network, a Phoenix-based merchant services provider, announced that it is able to reduce credit card processing fees by an average of .10% for qualified merchants. Capital Processing Network helps merchants save on credit card processing, payment gateways, and credit card terminals. Every year, millions of merchants are overpaying for credit card processing. Capital Processing Network, a Phoenix-based merchant service provider, today announced that it is able to cut credit card processing fees by an average of .10% for qualified merchants. The company says it reduces merchant account fees, which are charged with every credit and debit card transaction, resulting in a significant combined savings over the life of the account. Merchant fees, which can vary based on a business’s model and credit rating, can usually be negotiated if a business has lower risk factors than the average organization. Merchant account fees can represent up to 5% (or more) of a credit card transaction, so in essence a merchant only collects $95 for every $100 worth of goods sold. Considering that many small businesses may process several hundred thousand dollars per year in transactions, a small reduction in processing fees represents real dollars in the merchant’s bank account. Additionally, many businesses are unaware that they can realize significant savings by upgrading to newer equipment. If a large number of customers are using debit cards to make purchases, the addition of a PIN pad will cut processing fees on debit card transactions where PIN numbers are entered. For contractors and food delivery companies, mobile credit card terminals reduce processing costs whenever a physical card can be swiped. When these steps are taken in conjunction with renegotiated merchant processing fees, both small and large organizations will see more dollars going to their bank accounts. Capital Processing Network is a merchant service provider with US based service and support. The company offers a full range of services including merchant credit card processing, credit card terminal leasing and rental, TransArmor fraud prevention, and solutions such as gift cards and virtual terminals. Capital Processing Network also offers services such as check conversion, transaction reporting and management, and long term account maintenance. For more information please call 1-877-456-9747 or visit http://www.capitalprocessingnetwork.com. 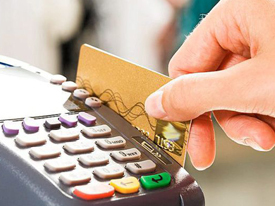 Credit Card Processing Costs Can Be Reduced.Merchants can keep more money from each transaction.